<span lang=”EN-US”>For a martial art and combat sport with roots that can be traced back nearly a century, Brazilian jiu-jitsu (BJJ) has achieved an unprecedented level of awareness and participation over the last few years in North America. Undoubtedly, a large part of the sport’s increasing visibility can be attributed to an expanding list of celebrity and social media influencers who are BJJ practitioners. These personalities often share their training and experiences with followers on familiar social platforms like Facebook and Snapchat. 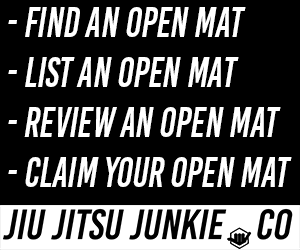 All the exposure leads to BJJ being nicely positioned as a complementary sport for athletes in other martial arts disciplines, e.g., CrossFit, and MMA.If you haven’t tried BJJ, it’s definitely worth considering varying your workout program, especially if you happen to sit in a chair for most of the day (although many chair-bound professionals don’t seem to consider exercise a priority when setting New Year’s resolutions). Let’s take a look at a few of the famous faces and notable influencers who have found a home in the BJJ gym. Perhaps the highest profile BJJ student is box office money-minting machine Keanu Reeves. The Hollywood star best known for The Matrix trilogy has been involved in several martial arts over his career, including kung fu and sword fighting. Reeves took up BJJ several years ago and trains with the Machado Brothers, who are cousins in the extended Gracie clan. Ed O’Neil, one of TV’s most endearing dads from his iconic small screen roles as fan favorite characters Al Bundy and Jay Pritchett, is a seasoned martial artist and possibly the original BJJ celebrity practitioner. 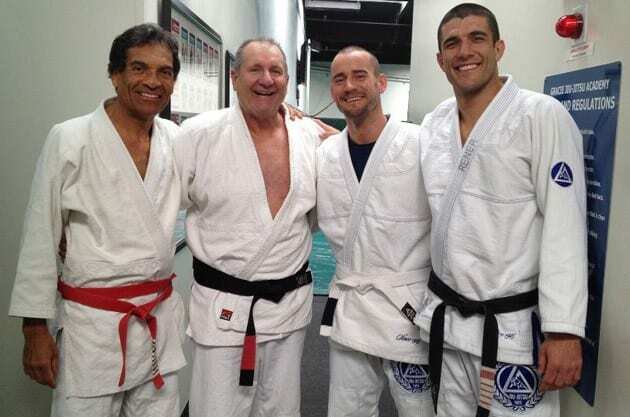 A personal student of Rorion Gracie, O’Neil has trained in BJJ for 25 years and received his black belt in 2007, striking quite a contrast to the aloof, couch-lounging lifestyle he portrayed as Al Bundy. Famed foodie, chef, and international adventurer Anthony Bourdain has been a rapid disciple of BJJ. Having dedicated almost an entire episode of his acclaimed show Parts Unknown to BJJ, his devotion to the sport is well documented. Bourdain trains at the Renzo Gracie Academy in New York City and regularly hits the mat an astonishing seven days a week. He also holds a blue belt. Not a bad way to burn off all those calories after sampling the most delectable foods the world has to offer! Women are increasingly joining the ranks of the BJJ devoted, and it comes as no surprise that some familiar names are in the cohort. A-list pop sensation and actress Demi Lovato is occasionally spotted training at the Renzo Gracie Academy and is known to sport Gracie tees on Twitter. As a noted martial arts fan and regular at UFC events, it makes sense that the “Hands to Myself” singer would catch the bug and engage in some hand-to-hand BJJ-style combat. Lifestyle design guru and investor Tai Lopez may be most recognizable for his “Here in my garage” series of Lamborghini-touting YouTube commercials, but he’s built a following of over five million followers on Facebook and over two million on Instagram. He’s also a frequent BJJ practitioner who rolls with Rigan Michado and live streams his workouts. If that’s not impressive enough, Lopez has also tweeted pictures of his private training sessions with Reneer Gracie. Keep an eye on the social media accounts of the celebrities you follow. There’s a good possibility that you’ll see them training with a Gracie or hanging out with a Machado.